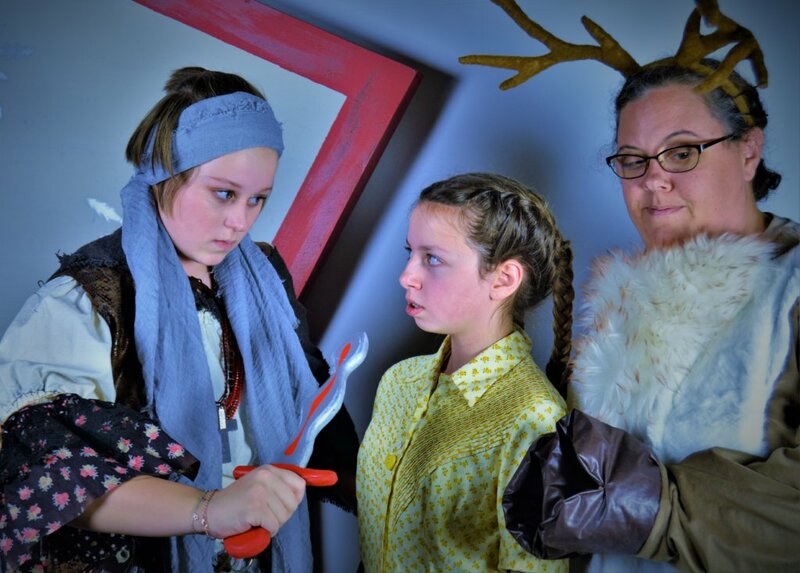 BELFAST — The Midcoast Actors’ Studio will present the holiday favorite “The Snow Queen” from Dec. 7-16 at the Crosby Center at 96 Church St. The play is an adaptation from an original fairy tale penned in 1844 by Hans Christian Anderson. Many versions of this story have been presented over the years, perhaps the best known to today’s audience being the recent Disney animated musical titled Frozen. As with many of the tale’s versions, our play selects key parts from the seven stories that comprise the original tale to teach us the lesson of friendship as we follow the adventures of our characters as they transverse a magical northern land. Two best friends, Gerda and Kai, have made the mistake of insulting the traditions of the Trolls. With the use of a magical hobgoblin mirror, the trolls get their revenge on the boy Kai, leading him to adore the cold and stern Snow Queen, who takes him away to her crystal palace to be her companion. Not knowing where her friend has gone, Gerda makes a long trek through dangerous lands to bring back her friend. Along the way we meet a robber girl and her reindeer, a wise old witch, and of course, trolls. Director Greg Marsanskis has tried to make this play accessible to children, hoping to catch and use their imagination and show them that theater is an experience they can be participate in and reproduce in their own homes. The cast includes Gemma Bradney, Chris and Bryan Hayes, Annabelle Lisa, Sarah Joy, Anna Leigh Fultz and April Rejman. Music is performed by Jeff Densmore. In addition to directing, Marsanskis is also the set designer. Patricia Saucier, stage manager; Linda Marie, costume designer; Jason Bannister, light design; Julia Clapp, choreographer; Erik Perkins, poster design; and Erin Hayes, light board.